Winston -- what this guy is saying is that because Western guys don't share the Thai prejudice against the darker-skinned Issan girls we're missing something. We're dating girls Thai's consider ugly. Well, beauty is in the eye of the beholder. IMO the Thai fetish for white skin is ludicrous, and I'm pleased to make my own choices without the help of any self-appointed Thai beauty experts. I just got back from Thailand BTW and can't wait to get back to my honey- colored new friends. Merlin wrote: Winston -- what this guy is saying is that because Western guys don't share the Thai prejudice against the darker-skinned Issan girls we're missing something. We're dating girls Thai's consider ugly. W: Really? Wow, how does it compare to the Philippines? Can you post any trip photos here or of the girls you met? I've never been to the Philippines, Winston, but after spending a month in Thailand I'm willing to believe everything you say about it. If you get a chance, come try the Philippines. After a visit here your biggest decision will be if you want to stay here or go back to Thailand. The women here absolutly great! I've been living here close to where Winston lives and I would NEVER go back to the states again!!! I lived in Thailand for 3.5 years because of my work. The people are much more harsh-hearted than Filipinos and much more nationalistic there. I learned the language well and things change when you can understand what they are saying about you. While admittedly not all Thai women will reject Western men, most clean girls of the middle class will be ashamed to be walking down the street with you. Heard comments ( which those who cannot speak Thai will not understand). Many bars and clubs and entertainment establishments outside of tourist areas have the "non-Orientals not allowed" policy. I have been refused entry to such establishments myself. Some guys even complain that they do not get served in restaurants. Daily mockery of white people and ripping them off is the norm ( although again, those who cannot speak Thai, will not understand it). Thailand was never colonized so they have been taught that because of their wise kings and some kind of cultural superiority and a great civilization they were not colonized. Also, they kept their culture and race pure and there was a time when white people were not even permitted to go there. Asians were allowed to immigrate and intermarry with the population there. So, there is still a barrier between a Thai and a Farang. Whether the barrier is thick or thin is a judgment call. I did not feel welcome there. You ask people for directions in Thai and they run away. Some people do not want to get into the same elevator with you. And there is this mockery and unpleasant looks that abound. Many people are suspicious and mistrustful of the Farang. I would say that 50% of Thais just look down on white people. I also worked at Thai universities - three of them- and quite a few Thai teachers were not nice to us, some would not even say hello to us. Constant indignant talk and scorn. After the Philippines I felt uncomfortable there and I never got used to the somber soul of the people there camouflaged by a fake smile. Plus the average IQ there is quite low. Many people look morose and lethargic. The Philippines has worse food and infrastructure but the general level of acceptance by Filipino people is gar greater. I have dated all kinds of girls in RP. The prejudice against white people is like one tenth of one percent of Thailand's. And also, the visas- in Thailand it is hard to get any long term visa because they are so nationalistic; whereas in the Philippines, visas are less of a problem; nationalism is minimal, and racism is rarely directed against white people, it is more among themselves. White people are generally liked if they behave, and can mingle with the locals with minimum discomfort. Locals want to see you mix with them. And if you learn a Filipino language you are 99% in. In Thailand, you are still an outsider. The people who are not ethnically Thais- Khmers and Lao ethnic groups are nice and friendly, but not straight Thais. I have noticed a few things about the guys getting ripped off left and right about Thai girls they usually have these things in common..
1) Generally ignorant of Thai or asian culture. Some expats can't tell good from bad and go on purely what turns them on sexually. Then you have a whole crop of slutty looking con artist women who know how to walk the talk and dress according to what they think western guys want. They reel people in through internet dating sites, bars, or networking with expat men. Their whole goal is to marry up and then live the life of one of those useless layabout women you see on Thai soaps. That's literally their dream except they come from trashy backgrounds and think the path to wealth is paved on their backs. It ends disastrously for obvious reasons. 2) Lack of career prospects. Guys come and think they will teach indefinitely in some low rent job and not realize that the income level in Thailand does not support the lifestyle or the type of woman they want (see above). 3) No local social circle. They hang out with other expat men and end up dating from the same pool of corrupted trashy women. 4) Family issues. Thai families can be demanding even if the woman is legitimate. Even if the expat I described above lucks out they can be stuck with some really trashy relatives who don't have a primary's worth of education split between the 10 of them and who view the western guy as the pot o' gold at the end of the rainbow. In this sort of scenario you end up with none of the benefits of having a decent extended family which could be detrimental down the road. Sorry for replying in an old thread. But this discussion has made me curious. The time gone by between when this was last posted and my post I wonder if the outlook has changed by now. Well I have got introduced to a Thai woman via chat. The relationship has built steadily. We are yet to see each other. Yeah that might be surprising to some as we have the resources for video chatting etc. But our relationship grew in this way only. I wonder after seeing my personally will she reject me? At least the posts of other people did not give me any encouragement. Would love to know the present scenario. Davison, I was in a similar position to you. Search for my thread in this forum about my impressions of Thailand when I finally went to meet the woman I'd been chatting with for months. And believe me: it's never a real relationship until you have met face to face. Repatriate wrote: I have noticed a few things about the guys getting ripped off left and right about Thai girls they usually have these things in common..
Yeah, and many think that Thailand is a 3d world banana republic whose people are dying to go to the USA/the West. A view from the 1950ies. But it is now a fairly developed sovereign nation and is expensive and the people are proud and foreigners have very few rights there. Many people also resent white guys going over there. Very racist against them. You will not know it until you learn the Thai language and understand what they are saying at work and in your neighborhood. Lots of nasty comments and scorn. All in Thai. And for a good Thai woman to be seen with you, a farang, in public is a shame. It's always been that way. 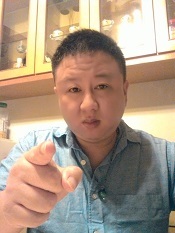 So, unless you have a really good income and a good position with a big company, your only choice will be those who are rejects of the Thai society or those who are rebels and have a white fetish.$ 800 a month teaching English or even $1500 there is peanuts. Also, the visa regime there, as well as in Indonesia is designed in such a way to make sure that unless you are rich, you don't stay there. Oriental people, though, are treated very well. They are taught in school that they area never colonized master race of Asia and that the whites are there to colonize them and are not to be trusted. The so called "educated" Thais see a white guy a little better than a quadruped, anyway. Kind of like Hawaii. So, unless you are rich, just enjoy it as a tourist and then get out. Spoken from experience. Come to the Philippines. The same race as the Thais and the girls don't hate white guys and are not as materialistic. Last edited by ladislav on November 20th, 2011, 9:16 pm, edited 1 time in total. ladislav wrote: Come to the Philippines. The same race as the Thais and the girls don't hate white guys and are not as materialistic. ?_? Thais are not ethnic Malays. ladislav wrote: Yeah, and many think that Thailand is a 3d world banana republic whose people are dying to go to the USA/the West. A view from the 1950ies. But it is now a fairly developed sovereign nation and is expensive and the people are proud and foreigners have very few rights there. Many people also resent white guys going over there. Very racist against them. You will not know it until you learn the Thai language and understand what they are saying at work and in your neighborhood. Lots of nasty comments and scorn. All in Thai. Ladislav, are you ever going back to Thailand to see if things have changed? You haven't been there since 1996. Many white guys have positive experiences about Thailand. I don't think Thais hate white people. I am serious about this reply. I hope you take a week vacation there. Things can change in 15 years. I used to live in a town in Illinois and I moved away from there and a year later, a lot of the stores were closed. Highways were being redone. All types of things happened. Many things can happen in 15 years. You act like Thailand is the worst place and you haven't been there since the 90s. I am just saying. Do you know if Black people are hated over in Thailand, liked/ or merely accepted/tolerated? Thank you ladislav for proving to all the odbo's of the forum that racism and supremacy are not limited to the Anglosphere. Wow I didn't know Thai girls were so hot and white! A post for the "i'm too fat, short, white,black brigade"